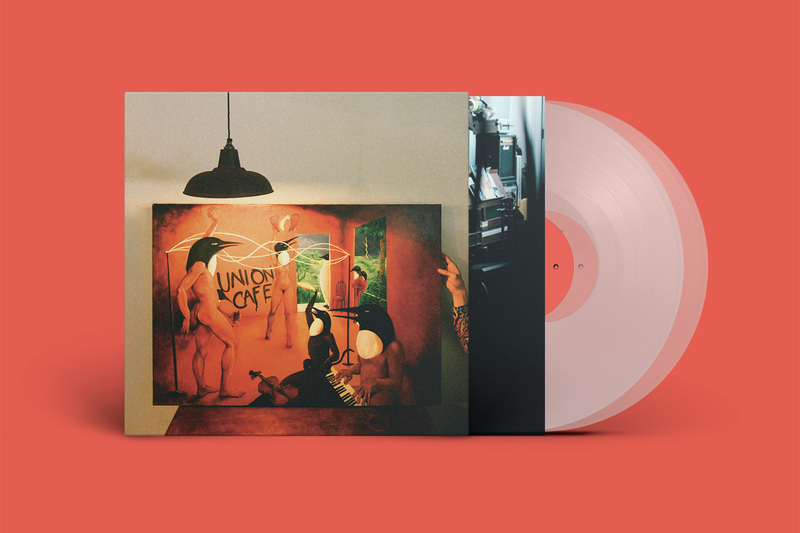 Erased Tapes has the huge privilege of reissuing the original Penguin Cafe Orchestra’s last ever studio album Union Cafe including a first time vinyl edition — out December 1st 2017 to coincide with the 20th Anniversary of founder Simon Jeffes’ passing in 1997. It was 1972 in the South of France when Simon had an unfortunate experience with food poisoning which lead to a much more fortunate circumstance when a vivid dream, induced from his illness and depicting a dystopian future, conceived the Penguin Cafe; a charming place where solace, harmony, and the orchestra’s unique music could be found amidst brutal concrete structures and darkness. For the following 25 years, Simon carried out this vision bringing brightness into a world full of noise. 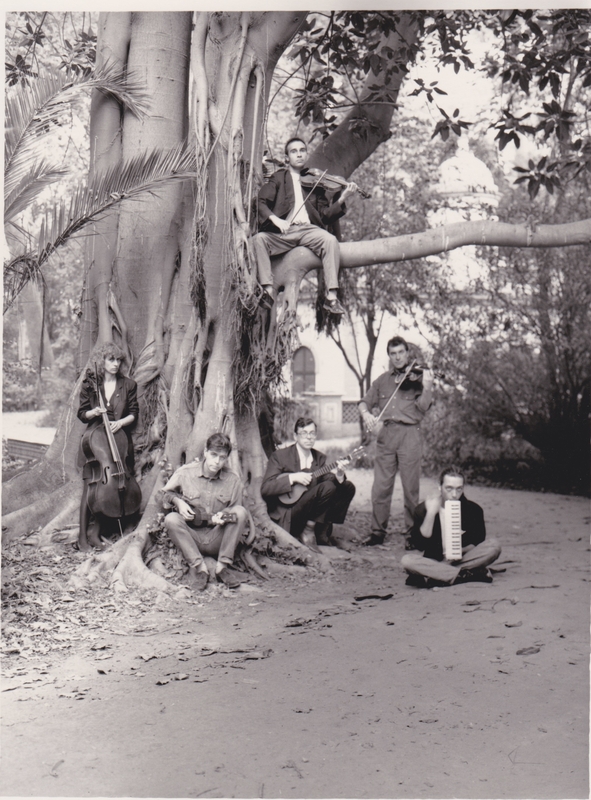 Sadly, after his passing, the original orchestra disbanded, but the doors to this happy place reopened when his son Arthur decided to continue his father’s legacy under the name Penguin Cafe. The continuation of the PCO began at London’s Union Chapel in 2007 when Arthur and the original musicians commemorated Simon 10 years after his death. 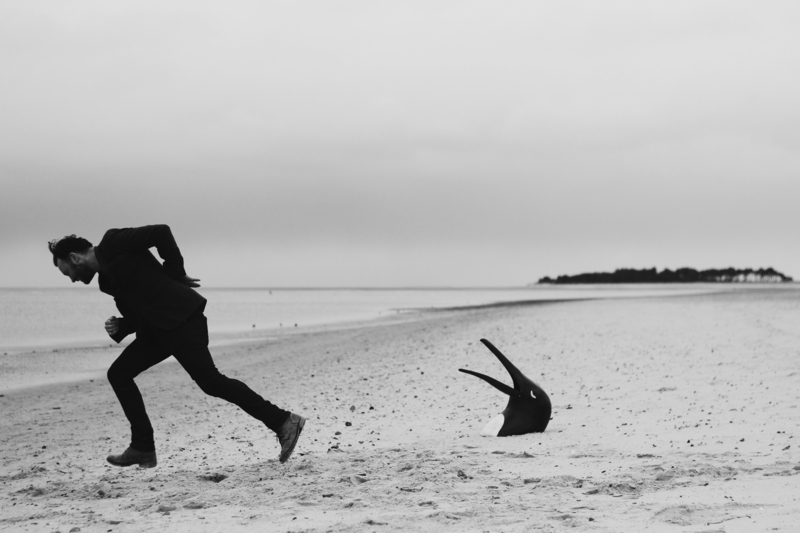 Another 10 years forward, 2017 will see Penguin Cafe pay tribute to him once again at the Union Chapel on December 11th where they will perform Union Cafe in full – a union from all corners of this magical world. 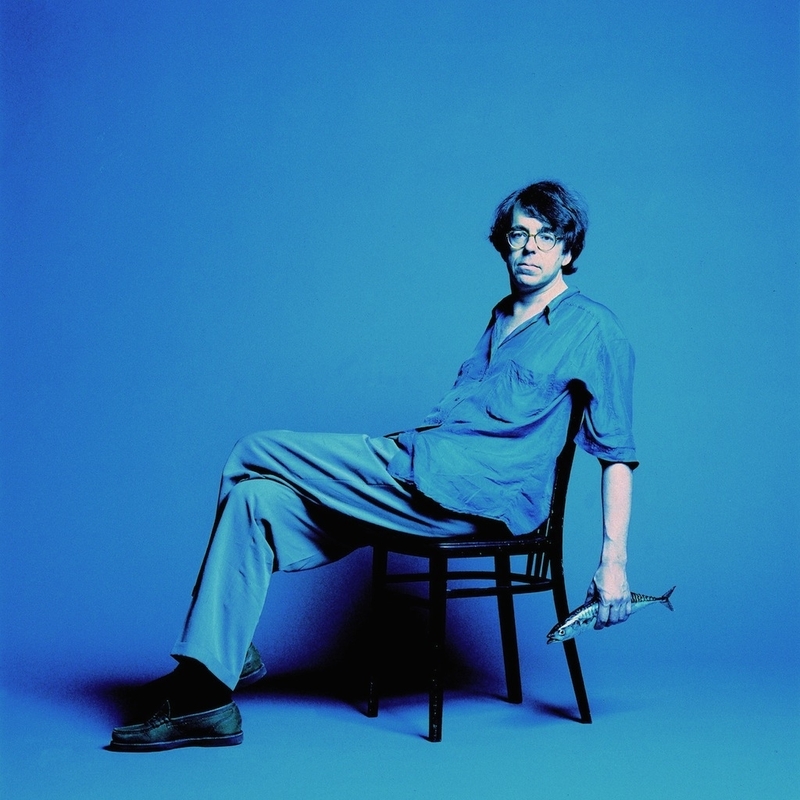 Union Cafe was the fifth, and the last studio album by Penguin Cafe Orchestra. It was initially released in 1993 merely on cassette and CD, and will now be given a new breath of life, for the first time available on vinyl, and another chance to reach old and new fans alike. 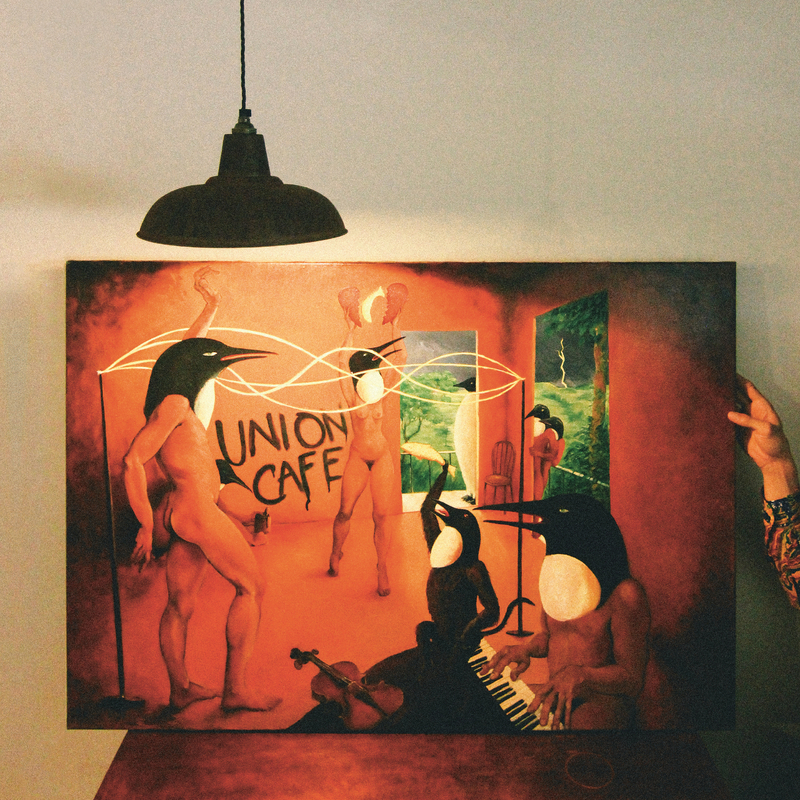 Arthur very kindly gave access to the original Union Cafe painting that currently lives in his North London home studio, created by Arthur’s mother Emily Young and now photographed by Alex Kozobolis for this special reissue edition.